A new gay-focused travel association has launched a comms drive as it looks to spread awareness and acceptance of the pink pound in the travel industry. 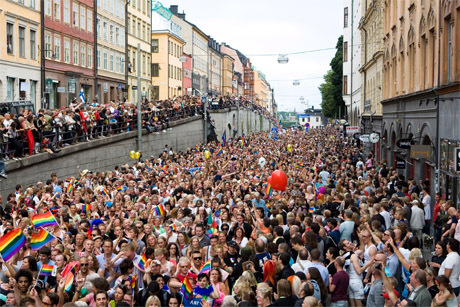 The Gay European Tourism Association, which launched six months ago, has appointed Rain Communications to help raise the profile of an industry worth an estimated £41bn a year. GETA's comms director, Paul Barnes, said: 'From a tourism point of view, a lot of smart businesses have understood this is a growing market, and one in which certain channels are effective in reaching them. Barnes' words came after BNP leader Nick Griffin posted on the internet the address of a gay couple who had won a highly publicised civil case against a Christian bed and breakfast owner. The owner had told the couple that they could not stay in one of her double rooms. Rain Communications will help raise the profile of GETA, which is open for membership to hotels, tour operators, travel agents, destinations, car hire companies and airlines. The agency will also work on promoting the body's Gay Welcome website. Rain Communications will work with the worldwide gay media, looking to establish a GETA presence in gay awards, as well as focusing on establishing a strong social media and online presence. Several destinations are actively promoting themselves to the gay market, with cities such as London, Berlin, Stockholm and Cannes all vying for this lucrative market.